A brief his-story of Dali the ancient capital of Yunnan Yunnan was territory of State Dian in ancient times. It came to be known as Nanzhao in the Tang Dynasty (618-907) and Dali in the Song Dynasty (960-1279). Kublai Khan’s conquest of Yunnan in the second year (1252) of the Xianzong era of the Yuan Dynasty, conquering Dali Kingdom and establishing Yunnan (1271-1368) and Yunnan Province was formally proclaimed here in the Qing Dynasty (1644-1911), which has remained unchanged until now. The superb architectural skill of the Bai people is represented by the three pagodas at the Chongsheng Temple in Dali. Built during the Tang Dynasty, the 16-storey main tower is 60 meters high and still stands erect after 1,200 years. 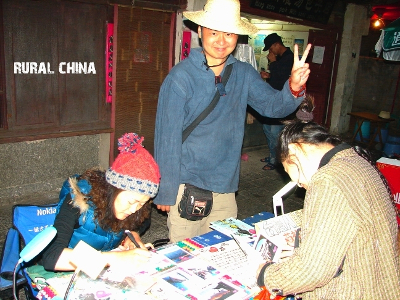 Dali – Also Known As The Hippie Capital Of China!